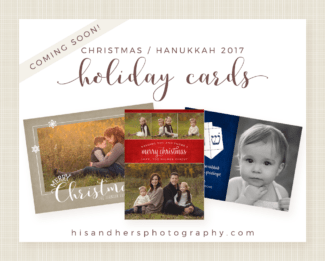 Please plan ahead for Christmas card photos! Hanukkah begins Tuesday, December 12, 2017. Christmas is Monday, December 25, 2017. Thank you – we love being part of these traditions and holidays!